Welcome back folks. When last we left our heroes, we were taking a closer look at some of the fast-approaching weapons, armor, and vehicles in the forthcoming Ghosts of Meridian for Halo 5: Guardians. Just a couple of issues ago, we pulled the curtain back on the upcoming new Warzone map, Skirmish at Darkstar. This week, we take a deeper look at the new Arena playspace also arriving in the aforementioned update, Tyrant. Also, if you didn’t catch it yesterday, our friends at Gamespot did a very cool feature on the upcoming maps – so definitely check it out as well. And with that, let's get started! Forestalling the Flood required sacrifice. Worlds were burned to molten husks to deny the parasite new hosts, Forerunner citizens immolated themselves in fusion fire when infection forms overran final defensive structures, and starships jumped into suns to deny the Gravemind a vehicle to spread his malevolent influence. In this particular system, the Forerunner Miner rate had built a network of colonies buried deep inside rich planetoids, crafting comfortable warrens and workshops as beautiful as they were labyrinthine. Protected by layers of hard light and exotic matter, and fitted with energy projectors powered by seething natal universes, they were impregnable fortresses that the Flood broke themselves on . . . until the Gravemind itself turned an infinitesimal portion of its baleful intelligence to bear on the problem. Grasping impossible filaments buried beneath reality by the long-vanished Precursors, Gravemind pulled at strands that twisted and warped real space. Walls made of collapsed starmatter cracked and shattered, entire fleets of kilometer-long warships vanished in flares of scathing light, and colony planetoids were ripped asunder; cracks in the Miner’s defenses into which the Gravemind poured billions of walking corpses, all cackling with one voice that drowned out desperate screams and final shouts of useless defiance. Those that survived the initial onslaught could only activate failsafes and await hordes of twitching Flood forms wearing the bodies of their families. The facility known as Zeta Hydronis Secundus, Site C by human explorers is one of the few mostly-intact Forerunner structures remaining in the system, a grim reminder that even godlike artifice can be undone by the minds and hands of mad and boundless tyrants. 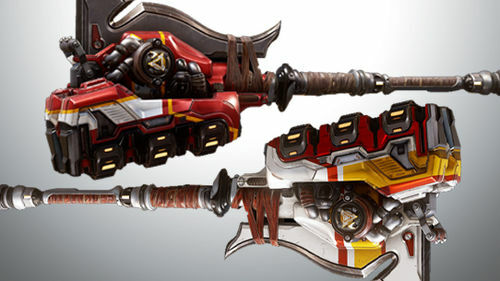 Last week we dove deep into Tartarus’ Gavel, one of the slick and ridiculously cool new gravity hammer dropping into Halo 5: Guardians via the Ghosts of Meridian update. We didn’t want to miss out on the chance to show the other two brutal instruments some love, though, so here is a sneak peek at the in-game lore strings that will accompany the Corpsemaker and Grinder. 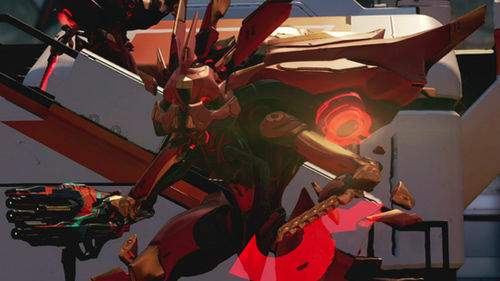 The sound of overloading shields, cracking bones, and shattering armor is music to Jiralhanae ears. Improved Gravity Hammer with uncalibrated impellors that generate an unstable gravimetric vortex at the point of impact. Made of the finest materials its owner could coerce or steal. Improved Gravity Hammer with faster swing time and additional energy capacity. 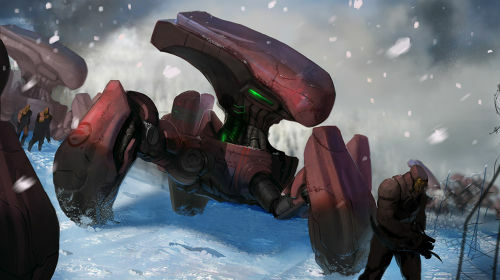 The result of a damaged essence salvaged by UNSC forces during the Requiem campaign in 2558, the primary combat challenge encountered in the Skirmish at Darkstar Warzone scenario is a Promethean Knight construct whose performance within the simulation is as closely monitored by the Office of Naval Intelligence as the participating Spartans themselves. The impetus behind their interest is unknown. So this week we’ve got podium finishes from both myself and 343 Industries Franchise Manager Corrinne Robinson. Also, I may or may not have cheated by picking two entries from one entrant. And by may, I mean I did. But hey, I couldn’t decide, and I get to make up the rules, so, there’s that! 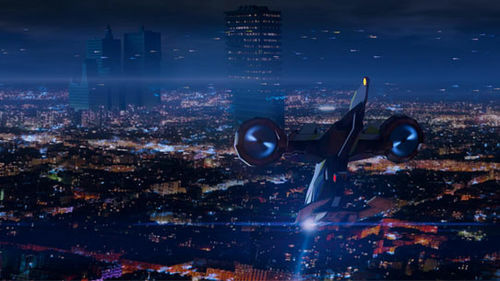 Without further ado, here are our top picks from the UNSC Hornet assignment. Also, don’t hesitate to stop by the submission thread and check out everyone else’s shots as well – there’s some really great ones! Over the past month, we’ve been giving various peeks behind the proverbial curtain regarding the development of the Arbiter character for Killer Instinct. And now, we’re excited to give huge congratulations to our friends and partners at Microsoft Studios and Iron Galaxy on the successful launch of Killer Instinct Season 3 earlier this week on both the Xbox One and Windows 10 PC. 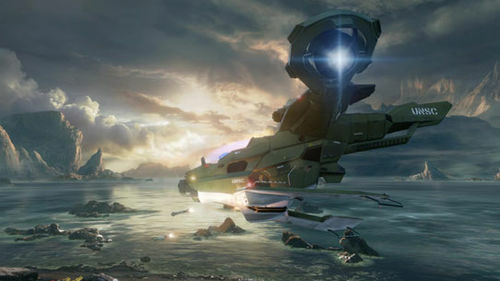 If you haven’t had a chance to check out our various features leading up to the Arbiter’s launch, you can catch them at the links below, and once you are ready to light up your own energy sword and defend the honor of the Halo universe, can purchase Killer Instinct Season 3 for yourself right here. See you in the arena! Canon Fodder: Fighting Words – Arbiter development blog and initial project info blowout. Arbiter feature on Ultra-Combo.com – Grim’s guest article for the KI community fully detailing Arbiter character/species background, plus full color and customization details. MS: Game w/ GrimBrother One stream – Grim and KI Community Manager rukizzel get together to play KI with community and chat Arbiter project development. 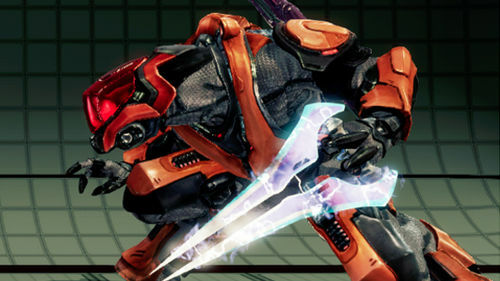 Making the Arbiter’s Theme – Celldweller and Atlas Plug give a behind the scenes tour of the development of the Arbiter’s music theme for Killer Instinct. Wolf Predator10: Is the Covenant Locust walker still in use as of 2557? A: Tier-1 excavator platforms like the Locust are still utilized by remnants of the former Covenant empire, though their roles have somewhat changed. 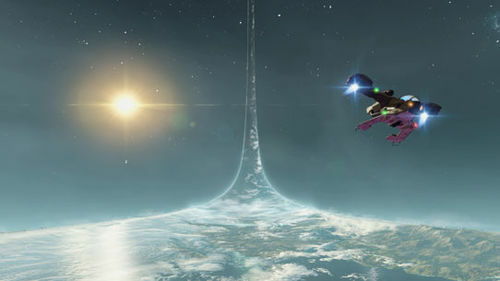 While some are employed by fierce Jiralhanae raiding parties looking to pillage colony worlds, others have been used by Sangheili kaidons and warlords to fortify keeps and protect fragile alliances. And that will do it for today. No Universe encyclopedia article this time around (first time for everything! ), but fret not, we'll be back with at least one - if not two - next week. 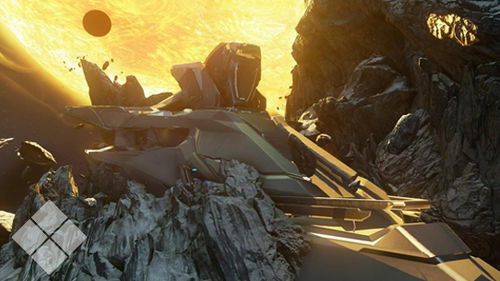 And for more info on the Ghosts of Meridian update, make sure you also check out Bravo’s Halo Community Update from yesterday, which has the full reveal of all the update’s upcoming REQs, as well as some high-quality beauty shots of some of our favorites. Give it a look! Until next time… Live well, play Halo, and remember that on days like today, believing what some say is Truth can only lead to Regret. 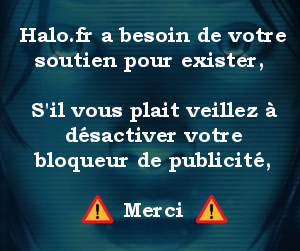 Dernière modification de cette page le 8 juin 2017, à 14:00.